Getting locked out of your home can be a frustrating and sometimes panic-inducing experience, especially if it happens to you in the middle of the night. 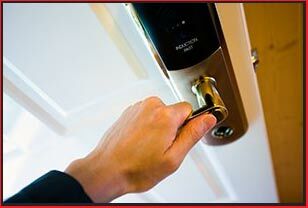 Fortunately, Clearwater City Locksmithoffers reliable help with residential lockouts in the Clearwater, FL region. We can get your door (or a household item like safe or file cabinet) open and have you back inside in the blink of an eye. Our locksmiths are experienced professionals that have handled countless lockout scenarios in the past. Our service is known locally for being competent, cheap, and friendly. Locked garage doors: Garage doors can sometimes get off track and refuse to budge and their openers can get stuck too. Whatever the reason, our locksmiths can open the garage door with minimal fuss. Locked mailboxes: We can open and then repair and maintain a locked mailbox. Locked safes and file cabinets: Lost the combination to your safe or file cabinet? Don’t worry, our locksmiths can help. Withresidential lockouts , our locksmiths won’t cause any damage to your property while opening your doors. We use advanced tools for the task, which our locksmiths wield with a great deal of expertise. Sometimes we have to drill open a lock, like on a mailbox or a file cabinet. We’ll replace it for you, if that happens, with a brand new one from our inventory. For cases where a lost key caused the residential lockout , we can craft a new one for you in a matter of minutes. Clearwater City Locksmith provides 24/7 help with residential lockouts. Being mobile locksmiths, our vans can reach your home – in Clearwater or surrounding areas – in a matter of minutes. We carry all the tools we need with us, so we can provide you with a fast on-site service. Our team members are all well-trained – we provide many hours of hands on training as well as educational material for them, so they can handle residential lockouts with ease. Our team is also professional and friendly. Need affordable and reliable assistance with a residential lockout ? Call 813-703-8189 !